The awards represent the highest honour available in the prestigious annual guide to the world’s top hotels, and reflect the outstanding level of service enjoyed by guests at the three stunning properties. A verdant oasis in Dubai’s upmarket Jumeirah Beach district, Four Seasons Resort Dubai at Jumeirah Beach is located just minutes from the city's main shopping and business hubs. The resort features 11 distinctive dining and lounge venues, three luxurious pools and a pristine private beach experience. The hotel’s extensive grounds offer endless opportunities for meetings, events and special occasions, while The Pearl Spa features state-of-the-art fitness facilities and provides a range of exclusive treatments and wellness therapies. Located in the heart of Dubai’s vibrant metropolis, Four Seasons Hotel Dubai International Financial Centre is a boutique-style sanctuary characterized by an intimate, home-away-from-home feel. The Hotel’s highly personalised service ensures that guests’ needs are instantly remembered and recognised. With chic interiors by New York designer Adam Tihany and a glass-enclosed rooftop pool providing stunning views over the city, this stylish property introduces a relaxed yet refined approach to luxury. Luxury travellers who would like to experience these three highly acclaimed Hotels can discover one of the world’s most exciting destinations with the expert knowledge and unrivalled service of the Four Seasons UAE Collection. 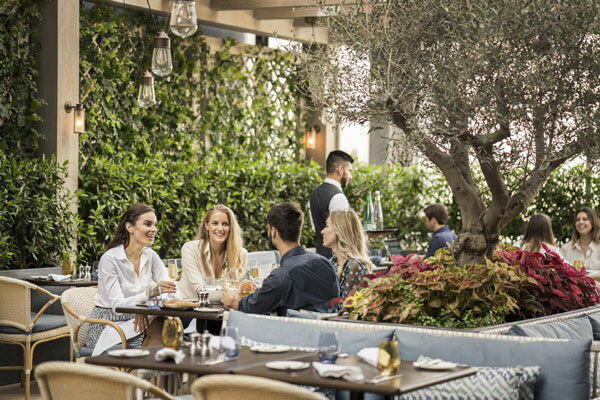 Guests are invited to explore a world of exquisite dining, luxurious Spas and cultural experiences with stays at all three Four Seasons properties in the UAE as part of the ‘Discover the Emirates’ package.